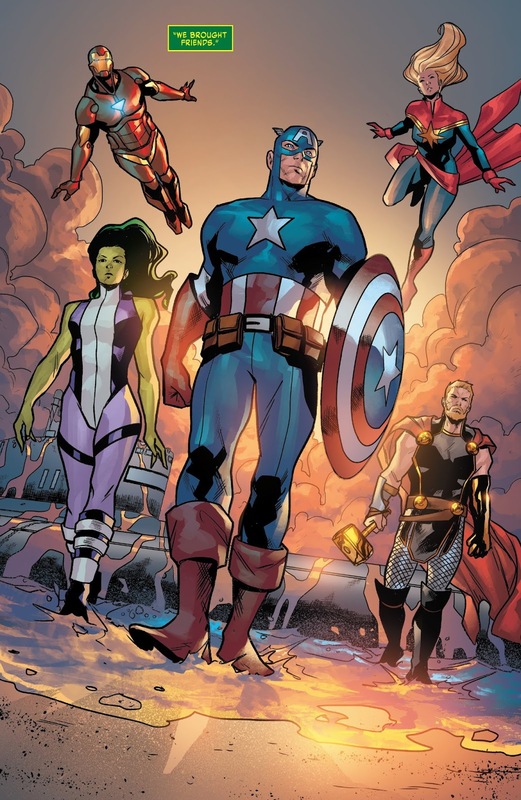 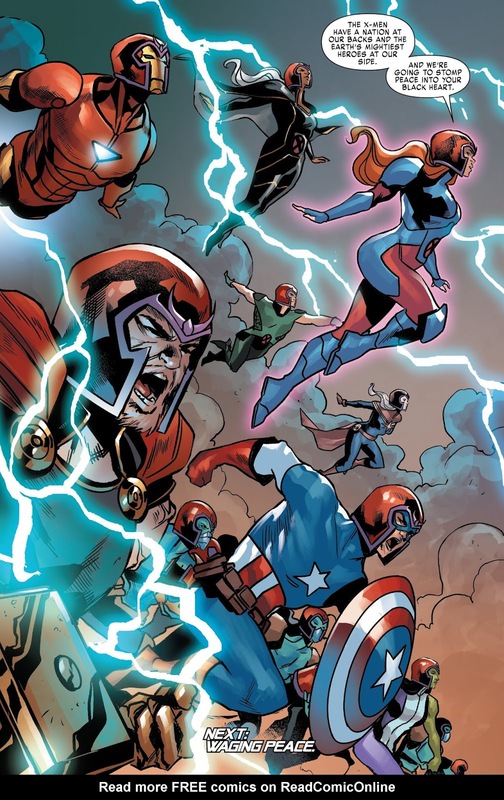 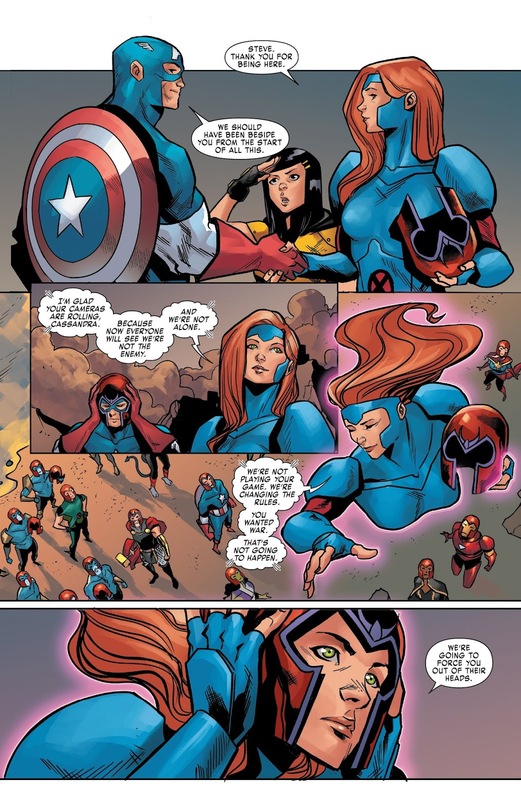 The Avengers, led by Captain America, help out the X-Men. 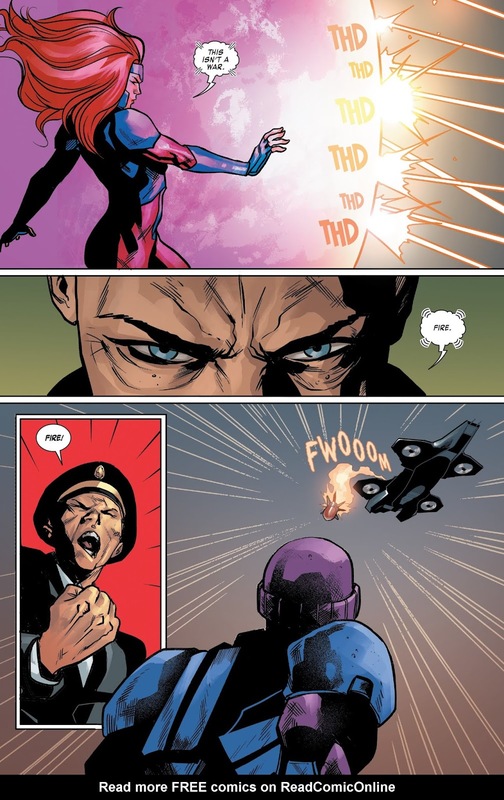 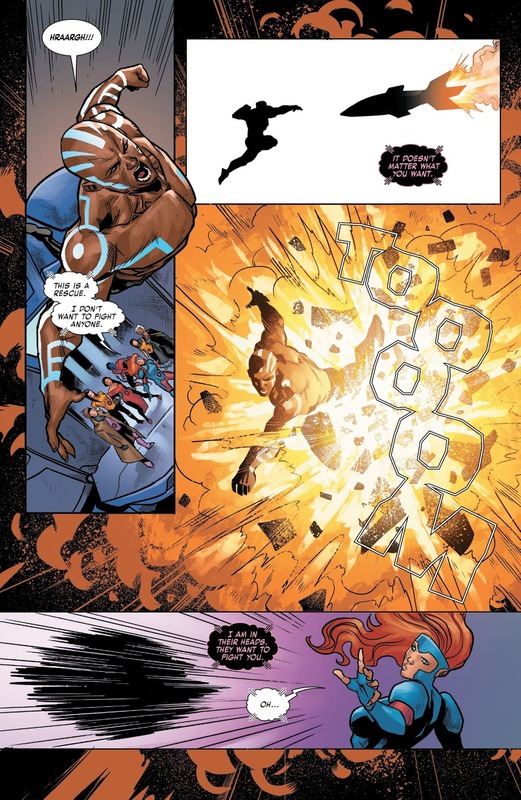 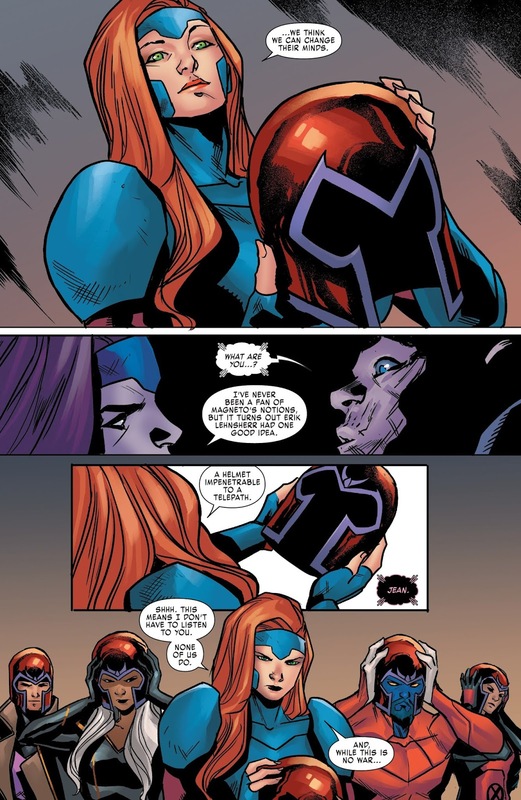 Funny how he decided to do that when it’s not Cyclops leading. 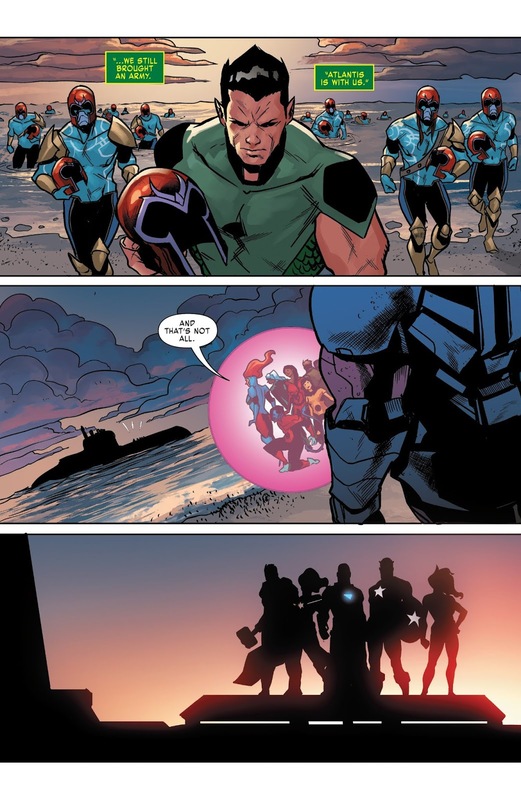 Honey Badger still saluting Captain America.